Make the opposition earn and work for the wickets, don’t help them on the way. Make every effort possible to save the match and put up a fight rather than giving in. This will increase your chances of preventing defeat and frustrating the opposition. 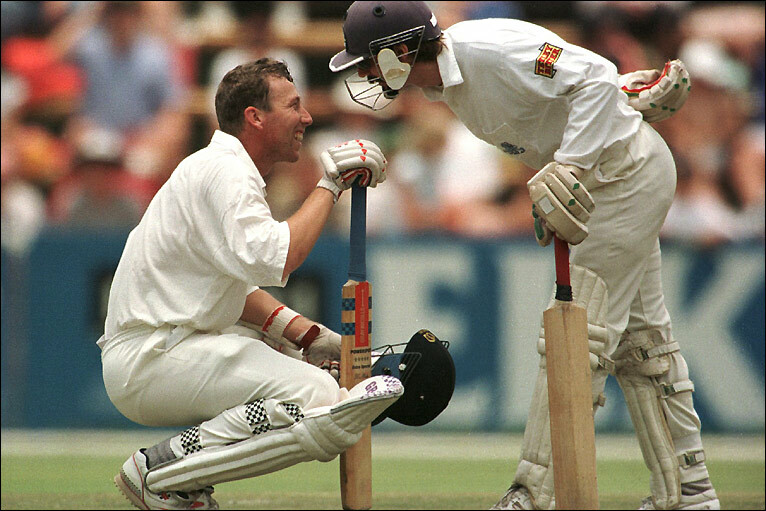 Once you are established and settled at the crease, ensure you maintain you’re composure and focus because 1 ball, 1 misjudgement, 1 lapse of concentration can end your stay and bring a new batsmen to the crease. Remember the analogy of 1 brings 2. Therefore, it’s imperative that those batsmen who are ‘in’ keep plodding along and make the most of it for the team cause. Defend Positively – with intention and purpose to show you are up for the challenge and are prepared to battle hard, bat long and show you’re difficulties to be dislodged. Know that the opposition are under greater pressure to win the game, especially a spinner for a 5th day wicket and therefore if you spend time in the middle and survive for long enough, they might start to lose the plot with the frustration and start ticking. This is when you have a psychological edge. The longer you spend in the middle the more runs you will get, the more runs you are giving yourself the chance to get and the more bad deliveries you will face and can then put away. It's natural for a batsmen to be thinking about runs and have something next to his name to show for his effort. He was Pakistan’s greatest all-rounder and captain and arguably their greatest ever player. He has led Pakistan to more test wins than any captain. He led Pakistan to their first series win in England and India. He claimed a match winning 10 wicket haul against the West Indies in their prime to win a test and draw an away series against a side which is regarded by many as the greatest sporting unit of all time. He played in 5 World Cups, captaining in 3 and every one of them he led in they reached the semi-final or beyond, in the case of Melbourne 1992. He was Pakistan’s 3rd leading test wicket taker of all time. He was a father figure in the dressing room who saw the value of having leg-spinners in the side and spotted talents like Inzamam, Waqar & Wasim who gave great memories to Pakistan fans and fans of the world game all across the globe. 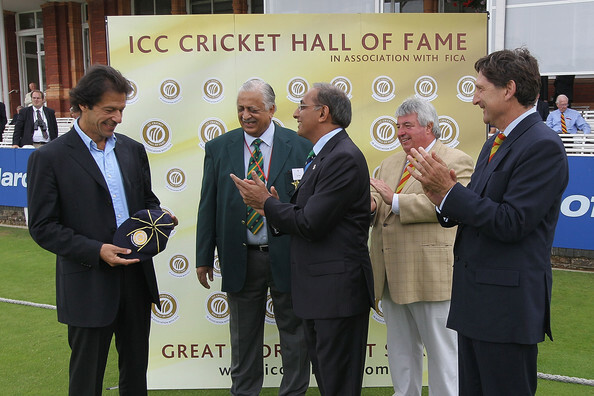 He is one of 4 Pakistan cricketers to be inducted into the ICC hall of fame. Talent was there, but self-belief, ambition and courage to stand up to take on the big guns were his biggest attributes. Pakistan Cricket, Pakistan as a country would have had a considerably lower profile without their genuinely great player, without their genuinely great man. Imran epitomised what was attainable through high standards, personal drive, and boy he achieved a lot in his 21 year international career and afterwards as well with his political and social work. As he turns 60 in the 20th anniversary of Pakistan clinching status as champions at the MCG and in their 60th anniversary since debuting as an international side, we pay tribute to our potential future president. Imran won many man of the match and man of the series awards in tough contested test series. 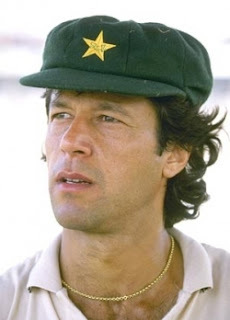 During his first tour of England as captain in 1982 although Pakistan lost the 3 match affair 2-1, Imran won 2 man of the match awards and won the player of the series award. When Pakistan beat India 3-0 in a 6 match test series under his captaincy during the home season which followed Imran won 2 man of the match awards and the player of the series award. When Pakistan won their first series in England in 1987 Imran was the player of the series and won the man of the match award during the only result of the series. During the same year he was man of the series in a 5 match series in India as Pakistan claimed their first series honours on Indian soil. During the 1988 tour of the West Indies he was awarded the man of the series in the 1-1 series, a moral win for any side visiting the Caribbean at the time. In one day cricket Pakistan won a 6 team tournament in 1989 under his captaincy and he also was awarded the player of the final and player of the tournament too. 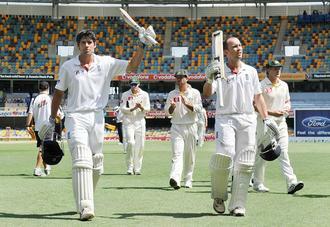 Not only did he lead successfully, he individually performed outstanding well while doing it with both ball and bat. 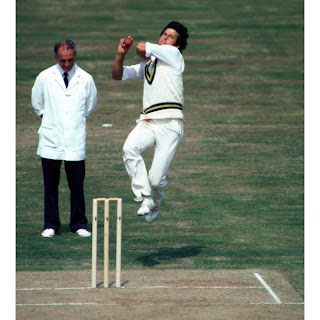 Imran had a beautiful classical bowling action, the jump transformed his bowling. Genuinely was sharp with a vicious inswinger. Later on in his career, when the bowling took its toll on the body, Imran cut down on his pace and bowled some handy slower deliveries. Even when injured towards the latter half of his career he did his best to serve his country as a leader, by focussing on his batting. As a batsman he was more than capable of leading by example, playing to the needs, demands and requirements of the team situation. Imran possessed match awareness and read situations exceedingly well. Through attack or defence he played with positive intentions. His man-of-the-match award in Georgetown 1988 against the feared West Indies side is unforgettable. Imran was contemplating retirement, but knew the significance of the tour and was persuaded to carry on. Teams during this time went to the Islands, expecting to lose, but hoping to lose respectfully, minimising the levels of ruthlessness. However, to win a test by a margin of 9 wickets and prevent them from beating you’re side in the series required a lot of skill, courage & hard work. Imran managed to achieve it and for me this was his biggest feat. Imran was on the brink of defeating the best number 1 side in the world for many old folks. The World Cup in 1992 was the icing on the cake and a sensible time to bow out which completed his CV as Pakistan became the 4th winner of the trophy, but there is much more to him as a player and leader before that which tends to go unnoticed amongst today’s youth. We sell him short, by just considering the World Cup triumph when he was on his last legs as a player to summarise his career achievements. Imran believed in specialists in selection of the best XI whether they were good batsmen, solid or destructive or specialist spinners, particularly leg-spinners or Wicket taking fast bowlers. Having experienced first class structures in England with counties and Australia with states, he knows how far Pakistan are lacking in having a reliable first class domestic structure and has been critical of it for a number of years. Less team, better competition is what he wants to see and abandoning departmental associations. Although he acknowledges the talent and raw ability is there to flourish, he feels it’s badly underutilised through a failing system. Imran also, was not a big fan of coaches, once saying that the role of the coach was nothing more than booking the hotels. He felt the captain and players are the ones who matter and can make a difference and all the attention should be given to that. This is similar to Warne’s view of coaching isn’t necessary at the very top level. Those who got to see him play were fortunate and indeed it was a special time for Pakistan’s rapid progress as a major force in the world game. Whether he was the greatest all-rounder the game has seen can be debated endlessly as it’s a subjective matter. However, I will go far as saying he was the greatest ‘playing captain’, in the sense that he was as good a player as he led, but could have easily made the side as a specialist captain. A complete player and a well-rounded individual who was an intellectual, articulate, highly educated leader of men or leader of people. Few players or leaders have influenced a country to the extent Imran has and there could be more to follow from him yet, but this time away from the field of play with the 2013 elections fast approaching. 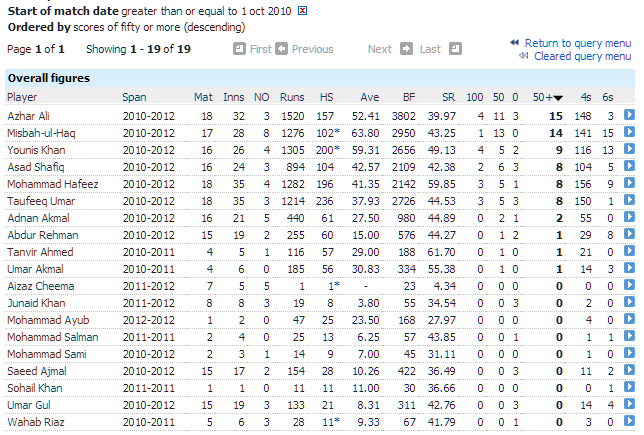 In whatever format, Mohammad Hafeez is a difficult bowler to get away and a nightmare for a left hander. To say Smith favours the on side, is stating the obvious. 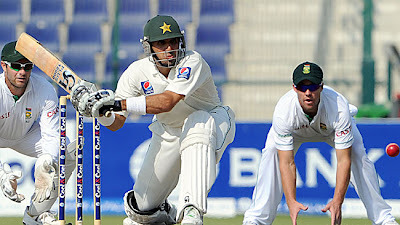 With a closed bat face, habit of chopping on and shuffling across, Hafeez should fancy knocking him over. We have seen him in the past trouble the likes of Strauss, Cook in the longer form of the game with his nagging accuracies & subtle variations who are top class players, too. 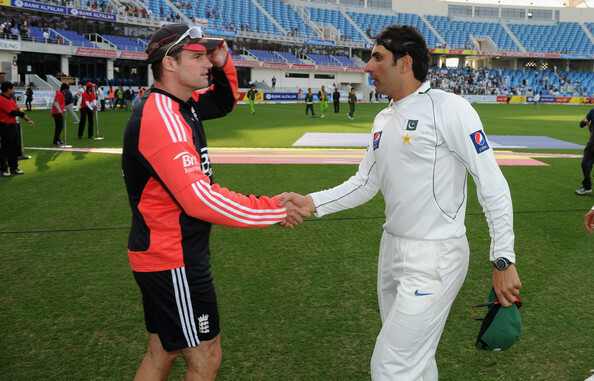 There shouldn’t be much surprise to see him operating against Smith even early in the innings because of how highly rated he is against lefties & his impressive track record against them and Hafeez will certainly feel he’s in business when Misbah ul Haq tosses the ball to him as Smith marks out his guard. Hafeez will enjoy bowling to him as he does with any left handed batter. Kallis looks extremely relaxed and comfortable at the crease. He survives for an age and steadily compiles his runs. There is barely a chink in his armour. If anything at all, he tends to get bowled when pace bowlers surprisingly slide in a yorker early in the innings. Gul bowls a fine yorker & should have the courage of his convictions to test him out with it. You are not going to get Kallis out by out-boring or frustrating him. 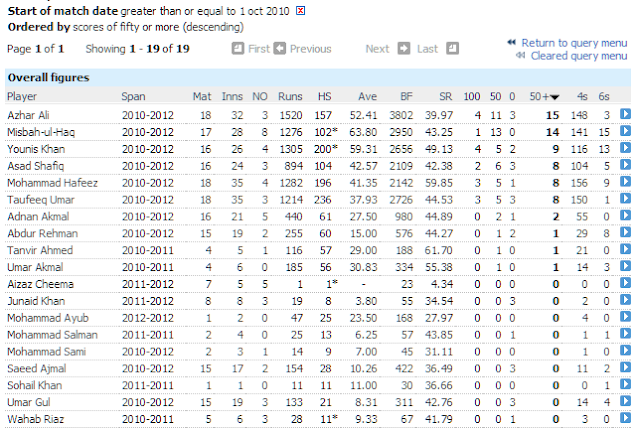 Ajmal bowling to Amla will be gripping. Amla is a strong backfoot player who doesn’t mind batting on off stump & risking being LBW. He gets across his stumps, works the ball in to the on side from the off spinner, plays it late & backs himself to make contact rather than worrying about the LBW. Ajmal could bowl it straighter & quicker, backing the pace he bowls with to get one through Amla as it crashes into the pads. LBW will always be in play. Amla’s wrist work will be in full flow as he tries to tackle the challenge of Saaed Ajmal. Two of the best players of our modern era going head to head was always going to be a fascinating head to head contest. Azhar is a stodgy, patient and amazingly consistent top order player who is workmanlike in style. He is prepared to bide his time, battle for his runs, reign himself in, hang in there, absorb pressure. He is a good crease occupier, blocker of the ball and a determined scrapper for the visitors and is an expert at playing the marathon innings & consistently being involved in long hauls. However, he has had issues outside the off stump channel with a habit to feel for the ball & has therefore feathered a few too many through to the wicket keeper and slip cordon early in his career. Nevertheless, the enduring grafter has strengthened his technical judgement & concentration levels even more to tackle this problem and now we see him averaging in excess of 45 in the premier form of the game. Azhar scored heavily against the South Africans in the Emirates in 2010 & was instrumental along with Misbah ul Haq in securing those commendable draws with a new looked side, but admittedly they came on unresponsive tracks, but there is an argument that the reputation of the South African attack compensates for that. Azhar will need to perform in this series for the visitors to avoid potential humiliation at the hands of a very fine Southern African side. His battle against Steyn will be a key contest. Azhar needs to ensure he doesn’t defend outside the line of the off stump, try to pick up clues in detecting the inswinger and have the short ball in mind, being clear in his method of how he will try to tackle the challenge. Classical dogged batsmen looking to deny against a fearsome quick with late swing should make intriguing viewing. Will Steyn knock him over or will Azhar manage to see him off and wear him down? For me, this is the key battle of the series.